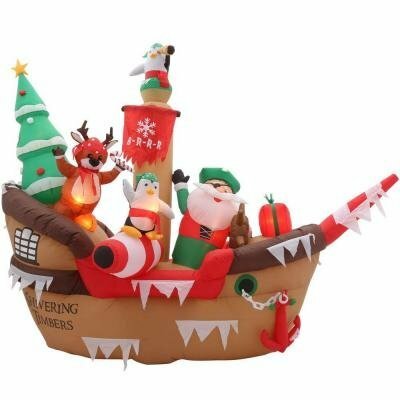 8 Ft. Inflatable Giant Christmas Pirate Ship Scene by Gemmy at Two Clock. MPN: 6164923. Hurry! Limited time offer. Offer valid only while supplies last.